Do you love essential oils? Would you love to use them more but they’re too expensive? 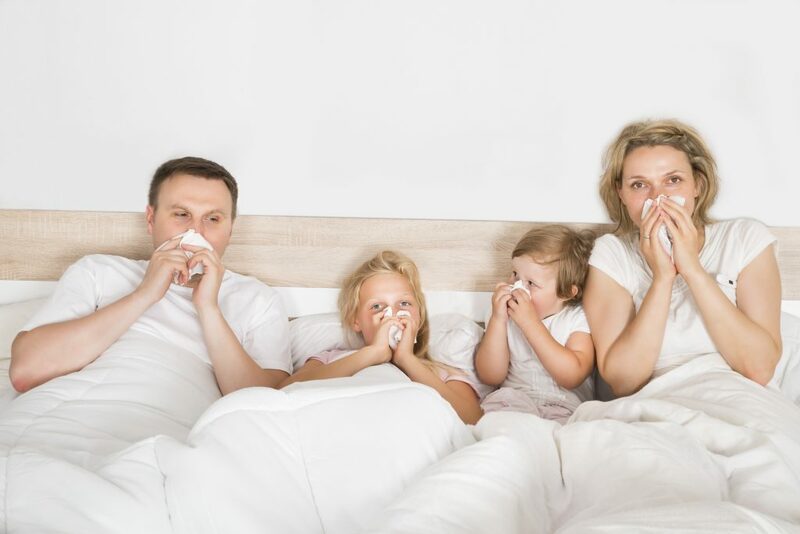 In my house last winter, we had 2 sick kids, a sick mom… and the worst… a dad with a cold! All at once! It was miserable. Have you been there? You know how bad it can get, mama! My friend suggested we try some essential oils and I was intrigued. 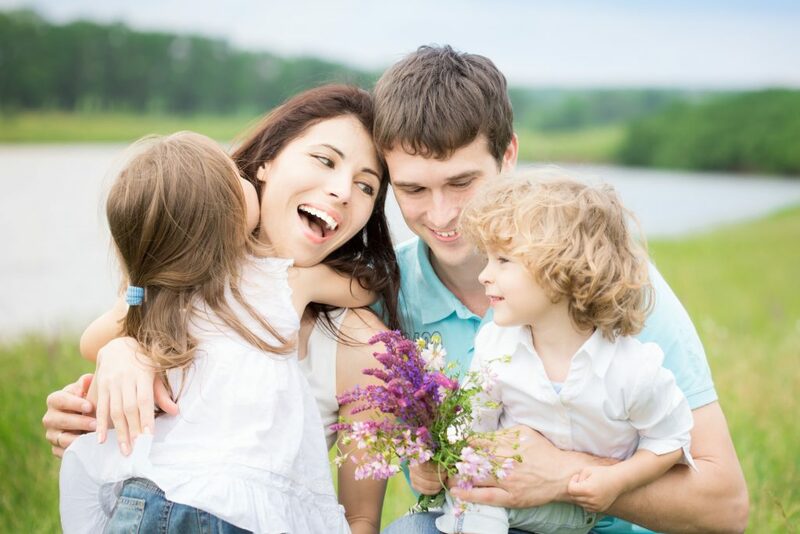 As a mom, I’m always interested in something that claims to help my family’s health in a natural way. 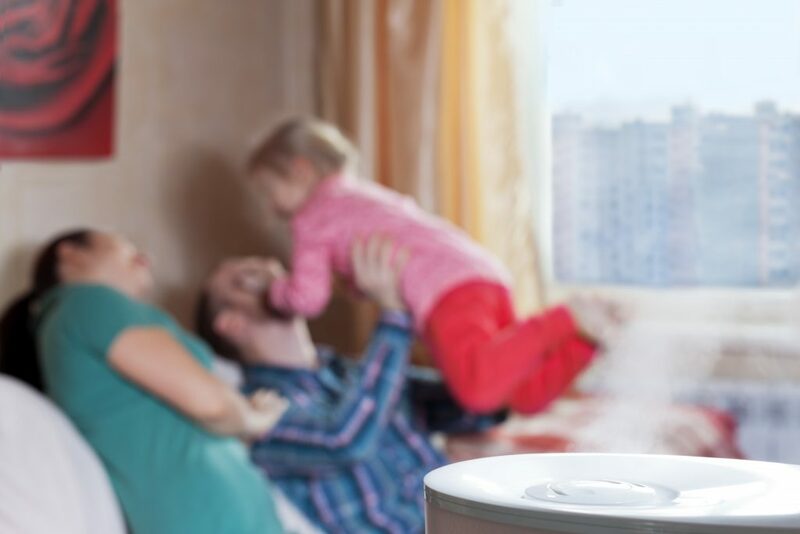 If diffusing oils can prevent or shorten even one winter cold, I’m all in! Many people have been introduced to the concept by the multi-level marketing (MLM) companies Young Living and Doterra. 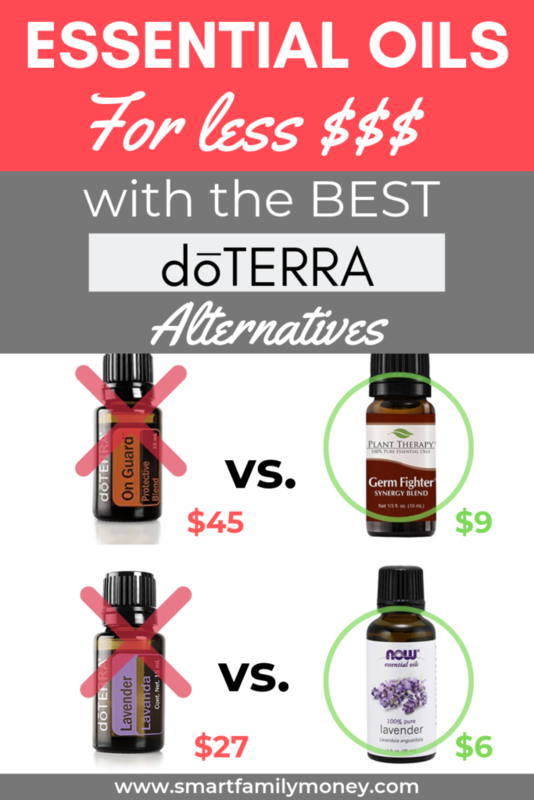 While Young Living and Doterra have high-quality essential oils, their prices are outrageously high. 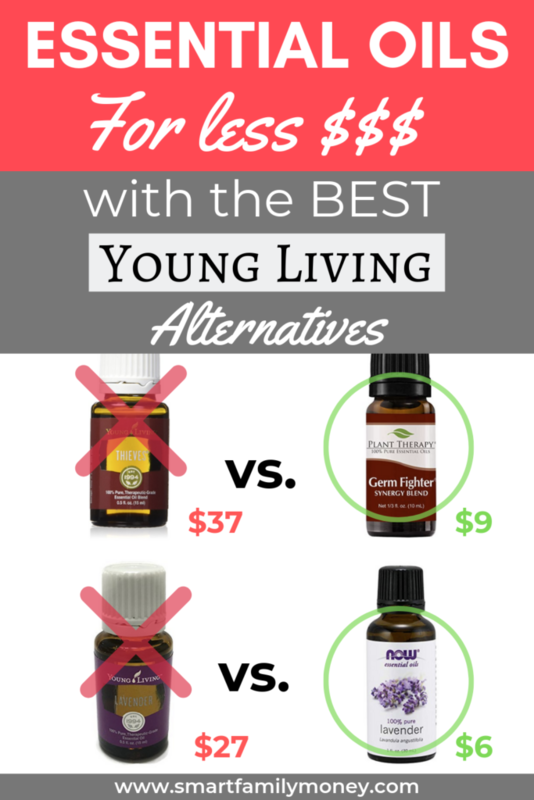 I went looking for cheaper alternatives to Young Living and Doterra. 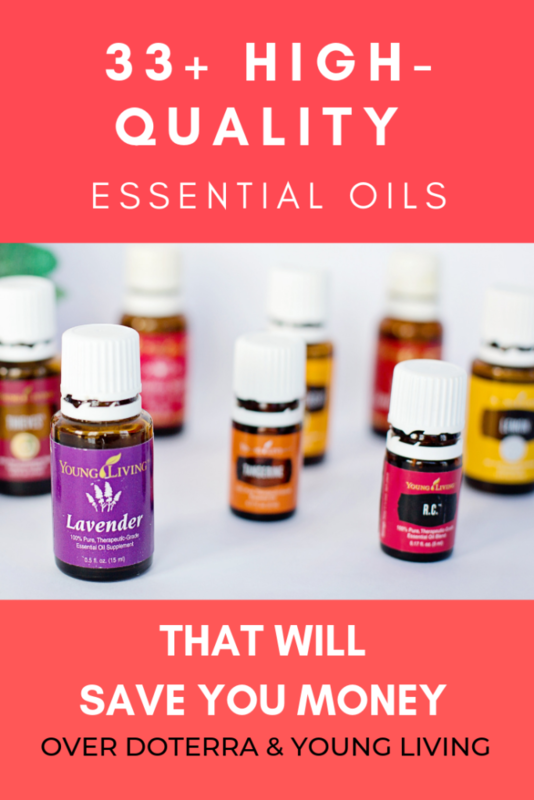 Thankfully, there are tons of high-quality essential oil companies out there. Which Brands Are Comparable to Young Living & Doterra? I think there are many high-quality essential oil brands out there. I chose three companies that came up repeatedly in my research as offering high-quality oils at much lower prices than Young Living and Doterra. Are These Essential Oils “Therapeutic Grade”? “Therapeutic Grade” is a meaningless marketing term. There is no independent agency that certifies oils to be therapeutic grade. CPTG Certified Pure Therapeutic Grade is a registered trademark of dōTERRA Holdings, LLC representing internal standards of quality assessment and material control. The CPTG testing protocols require the use of independent laboratories for CPTG standardization and quality testing. The CPTG protocol is not administered by government or industry regulatory agencies and does not imply regulatory approval of dōTERRA products. So technically Doterra is the only company who can use that term because they own the phrase. How does it mean anything then? It doesn’t. It’s just marketing. Are They High-Quality and Thoroughly Tested? All of these brands produce high-quality essential oils that have undergone rigorous testing. Are These Essential Oils Safe To Ingest (Edible)? Many of these oils are not labeled as food grade or safe to ingest. This is not necessarily because they are unsafe, but because the companies have decided not to label their products as food or nutritional supplements. This is because most experts agree that people should not consume essential oils without the guidance of a medical professional or trained aromatherapist. If you are consuming them under the guidance of a professional, he/she will advise you on the amounts, types, and brands they recommend for your situation. Should I Become a Young Living or Doterra Consultant? Many people considering joining Young Living or Doterra just to get discounted prices on the oils. I think shopping around for cheaper alternatives is the better route. If you’re considering becoming a Young Living or Doterra consultant, please check out my post about why joining an MLM will not solve your financial problems first. Now that we’ve covered the basics, let’s take a look at the alternatives to the specific essential oils. I couldn’t cover all of the possible essential oils, so I looked at Young Living and Doterra’s most popular items. I tried to choose the most similar size comparable option, but please note that many of the options are different amounts. Also, not all oils and blends are available in all of the brands. When looking at blends, I tried to choose the most comparable mix of oils, but compare the contents of the blends yourself. You’ll see that almost every example I have given will save you around 50-75% of the price of the comparable MLM essential oils. We’ve tried a variety of essential oils, when we were sick and when we were healthy. It’s hard to know if they made any difference, but we enjoy it and they smell nice. Our favorite is the Now brand lavender oil to help with relaxation. Have you tried any of these essential oils? How do you think they compare to Young Living or Doterra? I’d love to hear your comments below! If you enjoyed this post, you might like to read some of my other cheaper alternatives posts to save even more money. Especially, check out the post about cheaper alternatives to Norwex cleaning products for some excellent inexpensive natural cleaning products! I buy Piping Rock essential oils and I love them. Also, you can find great deals on essential oils in Marshall’s and TJMaxx. Plantlife is a common brand there, and I’ve been happy with its quality and of course there are the popular natural food store brands, such as NOW as you mentioned, or Aura Cacia (quite pricey, though). Those MLM essential oil companies really annoy me, tbh. They’ve popularized the word “oils” to mean “essential oils,” when essential oils are a very specific thing and “oils” could easily refer to diluted or artificial fragrance oils, or carrier oils. If a person is not well-versed in the use of essential oils, they really should be advised by a naturopath or someone who has studied the use of essential oils, not their neighbor who just started selling them, because there are safety issues. One of these companies actually trademarked “thieves oil,” which is the name for a certain combination of essential oils. This name has been used for centuries, and now other companies have to stop using it or face lawsuits. This also makes it harder for consumers to find it, because a search for the name they’re used to might not turn up results. Thanks for the tips about oils! So glad they have worked for you! Thanks for the recommendation! I started out with DoTerra and am trying Edens Garden. I am a newbie at this stuff, but I believe the DoTerra brand is a lot stronger, at least by smell. But I don’t like the idea of having to have a membership or the high prices. Thank you for this list. Could you help me find a cheaper alternative to YL Vetiver and Peace & Calming blend. I came across a post where someone said these and other EO have helped tics and I’m desperate to try this to help my son. I cznt afford the YL prices. Thank you! Liza, I’m glad you liked the post! I added Vetiver and Peace & Calming to the post above so you can have some cheaper options. I hope you find something that helps your son. I have doterra and love the strength, but on the skin they don’t seem to last very long. Would love to know if the cheaper brands last longer? And would also love to know if there is a hormonal blend in the cheaper rollers. I am sorry I don’t know if they last longer. I am guessing not because they are the same things. I will get back to you on the hormonal blend! I’m sorry, I wasn’t able to find any type of hormonal blend in a roller. It seems like this might be something you’d need to mix yourself into a roller. Best of luck! If you’ve been using Clary Calm from DoTerra, Edens Garden now has GalPal which is comparable and it comes in neat forms for your own mixing or diffusion as well as a pre-diluted roll-on. I go through so much of it I get a big bottle and make my own roller bottles, but it is nice that they offer their own rollers for you to try if you aren’t ready to dilute your own. Thanks so much for helping out, M!